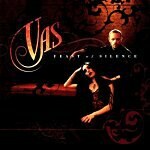 Feast of Silence is the most recent recording by the talented duo of Azam Ali and Greg Ellis, who together form the group, Vas. The two met in 1995 at a Master Musicians of Jajouka concert in Los Angeles and found a common bond in their approach to making music. In 1997, they released their first CD, Sunyata, on Narada Equinox and justifiably caused a stir in the "world" music community. Not only is Greg Ellis an outstanding percussionist; but also Azam Ali is an extraordinarily gifted singer. They have both proven themselves to be very fine composers as well. They went on to record two more CDs as Vas: Offerings in 1998 and In the Garden of Souls in 2000. Then they took a brief hiatus as a duo and recorded solo albums. Azam Ali's Portals of Grace (recorded on Narada World in 2002) embraces medieval musical traditions from Europe (a tradition in which Ali did not grow up) and shows the great depth of her talent and range. Kala Rupa, Explorations in Rhythm recorded by Ellis in 2001 is exactly that; but also an exploration in the many sounds that are created by amount of many different percussion instruments (such as udu, cajon, bendir, tambourine, tabla, bells, cymbals, shakers, etc) combined with guest artists playing such instruments as kemencheh, bansuri flute, cello, and on two tracks, the voice of Azam Ali. Many fans were worried that the two had gone their separate ways and would not be recording as Vas any longer. Feast of Silence has, of course, ended those fears. Azam Ali was born in Iran; but when she was four her family moved to India, where she grew up and seemingly absorbed the rich culture that surrounded her. She sings in many languages, but also quite often sings in a language all her own -- spontaneous vocals that work beautifully with the throbbing rhythms of Greg Ellis' drumming. Her voice can be cultured and controlled when she is singing songs from a more "classical" tradition such as Latin songs, or it can be wild and strong when she is performing, for example, a traditional Bulgarian tune. On Feast of Silence Azam sings "Izgrejala", a traditional Bulgarian tune, as if she was born to sing it and her voice compares with some of the great Bulgarian singers such as Yanka Rupkina and Valya Balkanska. She is a poet as well as composer and seeks to combine her poetic sense with her music. On Feast of Silence she composed nine of the twelve tracks. Greg Ellis grew up in Los Gatos, California, and began playing trumpet when he was nine years old. He became interested in drums at age 12 and has made percussion instruments his major passion since then. He not only composes music for himself and for Vas, but also music for film and television. Feast of Silence is a richly textured recording and although it would appeal to those who like "new-age music"; because of the rich imagination and creativity of both Ellis and Ali, they rise above this category and give birth to something of real depth and lasting value, and place Feast of Silence into a category all of its own -- not really "world and not really "new-age". Their spiritual side is obvious in the choice of their arrangements and subjects; but this serves to enhance their music because it is obviously so genuine. In Ali's solo work, Portals of Grace, she says in the liner notes: "for me, singing and praying are one and the same." Indeed, listening to a recording by Vas isn't just entertainment or background noise; but a journey into the mystic realm.